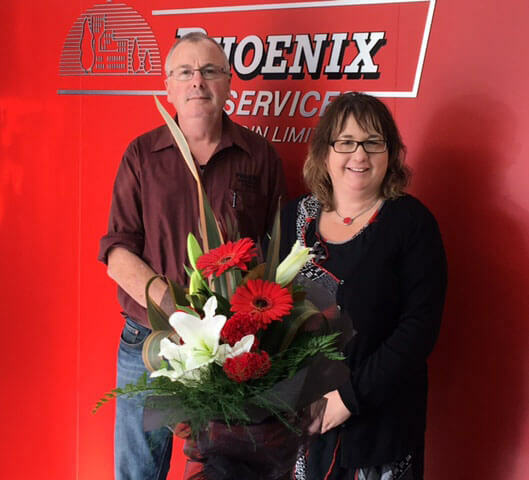 Phoenix Services Dunedin is owned by Phillip & Raewyn Brown and Adrian & Debbie Fahey. Adrian and Debbie manage and operate the business in Dunedin. Since establishing the business in Dunedin in 2006, Phoenix Services Dunedin has grown to have all the key maintenance trades represented on staff, including plumbers, carpenters, painters, labourers, electricians and property maintenance specialists to name a few. We also work with a select group of suppliers and subcontractors who provide any services that aren’t offered in-house. Covering the greater Dunedin area south of Otago, right up to south Canterbury. We are accredited providers for the major insurance companies Vero, IAG, AA & Tower. We’re proud to offer a hassle-free service where one call can do it all. Phoenix Services Dunedin Limited staff wear distinctive, tidy, easily identifiable uniforms and carry identification. You are advised when we enter or leave the premises and confidentiality is assured. We presently carry out maintenance work for many high profile security conscious firms and are more than happy to provide references if required. Phoenix Services Dunedin operates a modern fleet of well-equipped vehicles, all fitted with GPS tracking, giving our staff mobility and reliability in delivery of our services. All staff are easily contacted through our cellular network. Our trades people are highly presentable and reliable. We operate a modern accounting system, which keeps track of your individual job to allow us to monitor its progress. Phoenix Services Dunedin use safety manager BWARE software to record, monitor and control our health and safety processes enabling us to meet all of our health & safety requirements and boost our performance. We work hard to maintain and improve our sevices in health & safety. We feel all our staff are trained and perform at a high level. You will notice they all do risk assessment forms before starting any job, looking for hazards etc.